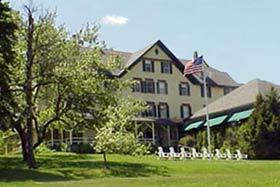 Maine communities such as Bar Harbor, Northeast Harbor, Southwest Harbor, Ellsworth, Tremont, Trenton, and others offer diverse lodging options in the Acadia National Park region. The following information will aid you in selecting the right accommmodation. Click on property names or photos to view individual websites. Bar Harbor's newest luxury boutique hotel • Featuring modern sophistication and amenities for the most discerning traveler. 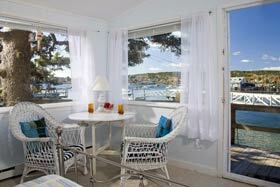 Luxurious accommodations abound, many with magnificent ocean views. The West Street Hotel features Maine’s only rooftop pool offering a unique sanctuary atop the bustling downtown Bar Harbor streets and shops. 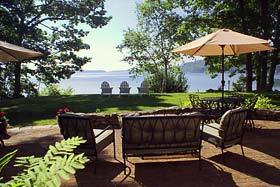 Guests and groups are privileged with exclusive access to the Bar Harbor Club. 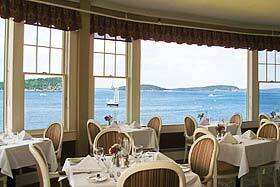 The Bar Harbor Inn is one of the most noticeable and elegant properties in Bar Harbor, Maine. Located on the northeastern shore of Mount Desert Island next to the West Street Pier, it provides an unsurpassed view of Frenchman Bay and the Porcupine Islands. 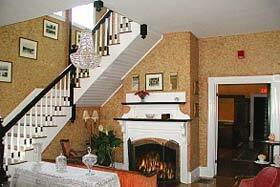 Many rooms have fireplaces and balconies. The famous Reading Room Restaurant and lounge is on the premises for your convenience and culinary enjoyment. 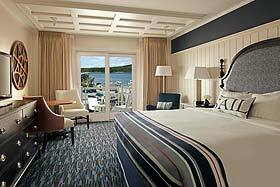 Bright and modern, Bar Harbor’s newest hotel offers stunning views of the ocean and mountains from a private location just a short walk from downtown. Guest rooms feature an upscale design - sleep well in the clean and fresh Hampton bed® and enjoy amenities including free WiFi, refrigerator, and work desk. Upgrade to a suite for more space and amenities, including balcony with ocean views. Join us each morning for Hampton’s free hot breakfast buffet, featuring our famous freshly baked waffles. 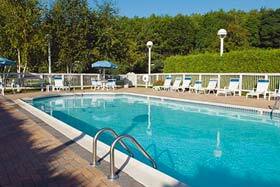 Amenities include indoor and outdoor swimming pools, fitness center, and 24-hour business center. 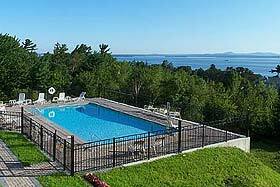 This beautiful resort style property provides sweeping views of the Atlantic Ocean along Frenchman Bay and is close to downtown Bar Harbor and Acadia National Park. Enjoy a full range of facilities including a heated outdoor pool, jacuzzi, lighted tennis courts, and walking/jogging path. On-site dining options include La Bella Vita Ristorante, Stewman's Oceanfront Lobster Pound and a Splash poolside bar. 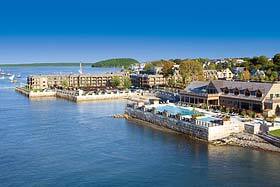 The Harborside Hotel, Spa & Marina is the premier resort facility in Bar Harbor, Maine. Nestled in downtown Bar Harbor, and just moments away from Acadia National Park, the Harborside offers breathtaking views of Frenchman Bay and the ocean beyond. With the finest guest accommodations and unsurpassed hospitality, Harborside is the perfect destination for family vacations, romantic getaways, weddings, and business conferences. 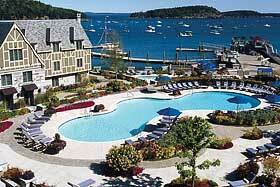 Guests can enjoy the dining & spa amenities of the adjacent Bar Harbor Club. Family Camping! We are uniquely located to explore many hiking trails in Acadia National Park - No need to even get in your car! 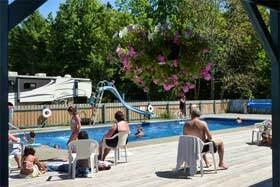 Walk from your campsite through the woods to Echo Lake Beach in Acadia or have fun in our Heated Pool (heated through September!!) and Kiddy Pool. Be it hiking, biking, fishing, swimming, playing or just a quiet place to relax Smuggler's Den is a great place to vacation! Open: Year-Round • Dog Friendly! 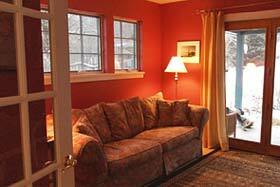 Visit Red's Garden, a private, comfortably furnished one bedroom cottage located just four miles from downtown Bar Harbor. A short drive from the many activities offered in town, your quiet vacation retreat will await your return. (We have Turbo DSL with WIFI and A/C.) 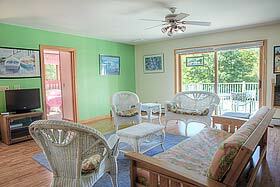 Relax and enjoy the breeze on the big back porch after a day's exploration of our beautiful island. Once you're settled in, you may choose to leave your car behind and ride the free 'Island Explorer' seasonal shuttle bus to many island destinations. Be sure to check our website for current special offers. Country Accents Magazine calls The Harbour Cottage Inn “the perfect New England getaway.” This casual, elegant and historic 1870's Victorian Bed & Breakfast is located atop Dirigo Hill overlooking Southwest Harbor just minutes from Bar Harbor and Acadia National Park, within an easy walking distance to restaurants, shopping, marinas, and lobster wharves. 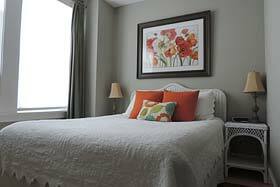 Featured in Good Housekeeping, Redbook, and Woman's Day magazines as one of Maine's Great Destinations, our guest rooms and suites have wireless high-speed Internet, cable TV, & 400TC sheets. 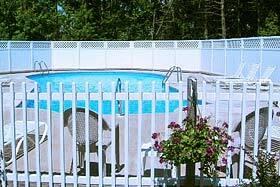 Several feature gas fireplaces, and Jacuzzi tubs. 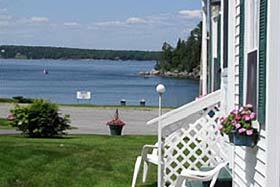 Personalized friendly service, peaceful and quiet setting, spectacular views, close to downtown Bar Harbor and Acadia - these are just a few of the things that make The Bayview so special. Enjoy spacious oceanfront hotel rooms with balconies, some family friendly, or our larger two and three bedroom townhomes and house. 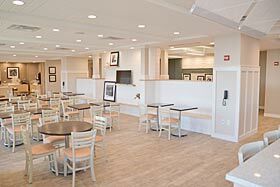 A delicious deluxe continental breakfast and homemade cookies are served fresh daily. Relax by our pool or lounge and let our complimentary shuttle take you to town for dinner or shopping. A vacation the way it should be! 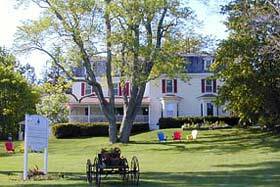 The Atlantic Eyrie Lodge sits high atop a bluff overlooking Frenchman Bay. The beauty of land and sea will greet you, as our location affords unrestricted views of the ocean from your room and balcony. 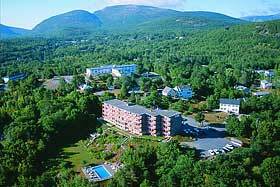 Affordable, quiet location near Acadia National Park, the Ferry Terminal, and a quick walk or complimentary shuttle ride to downtown Bar Harbor. 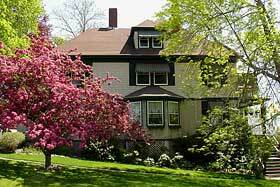 Affordable and friendly, century-old Victorian in a quiet, tree-lined neighborhood, just steps away from all that Bar Harbor has to offer. 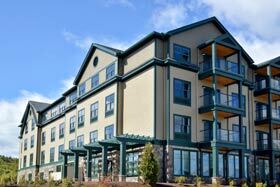 Rooms feature organic linens, private baths, hardwood floors, some with balconies. Full breakfast served every morning on our sun-lit porch, complimentary afternoon refreshments, handmade pastries and espresso. 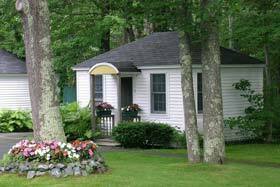 Off-street parking, cable, wifi, maps and books, knowledgeable innkeepers will help you get the most from your Acadia vacation. 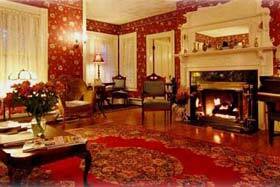 Central House has been welcoming guests to Bar Harbor since 1887. Retaining its historic charm while offering inviting comfort, Central House combines traditional interiors with modern amenities such as queen or king beds, private bathrooms, A/C, TV, and wifi. At the “center” of Bar Harbor's downtown village, Central House offers easy access to shops, restaurants, waterfront, and Acadia. Enjoy sitting out on our front porch, where guests have relaxed for over 120 years, going back to the days when Bar Harbor was known as Eden. With over 100 years of cottage rental service, we are the rental experts for Northeast Harbor, Seal Harbor, Bar Harbor and all of Mount Desert Island. Our three rental agents represent nearly 400 homes from luxury estates to lakefront camps that can accommodate your group, large or small. And, we're locally owned and operated, providing personalized and on-site service. 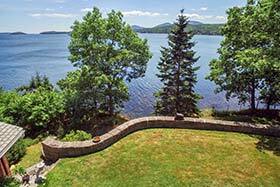 Enjoy your Private Ocean Shoreline with Unobstructed Views of the Harbor - Truly a Gem! Completely renovated in 2013 then upgraded again in 2016, Harbor Oasis is a rare find with in-town convenience yet a very tranquil setting directly on the ocean. Located down a quiet lane in picturesque Southwest Harbor, just minutes to some of Acadia National Park's favored spots including Beech Mountain, Echo Lake, Flying Mountain (overlooking Somes Sound), Wonderview & Ship Harbor Ocean Trails, Seawall Picnic Area and the Bass Harbor Lighthouse. 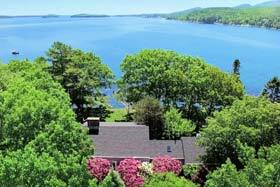 Bayview Cottages Vacation Homes offers six unique waterfront Bar Harbor properties on Mount Desert Island. All of our homes offer spectacular water views and access. Within minutes of Acadia National Park, downtown Bar Harbor, Northeast Harbor, and Southwest Harbor, we offer the standard amenities that we desire when we vacation including: fully equipped kitchen, washer, dryer, television, Cable/DirectTV, DVD/VCR and wireless internet. 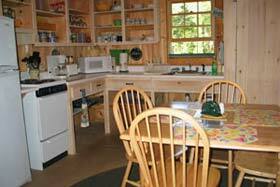 Five of our six homes can accommodate up to eight people. Please come and stay in one of our fabulous homes. 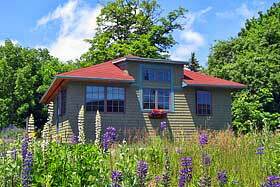 Relax in our New Off-Site Cottage overlooking our Blueberry Field! Long Barn has been remodeled with a Brand New Kitchen, Deck and Patio along with a newly remodeled Living Room, Three Bedrooms (Master Bedroom w/Full Bath, Queen Bedroom, Two Twin Bedroom and 3/4 bath) and Laundry. Bedding and Towels are included! Long Barn is uniquely located to explore many Acadia National Park Hiking Trails and Biking on Fire Roads... No need to even get into your car! Walk or Bike through the woods from Long Barn to Echo Lake Sand Beach! 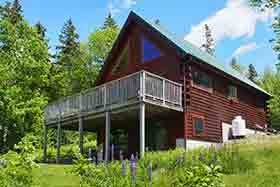 We offer a great selection of vacation rentals in the Bar Harbor & Acadia area. 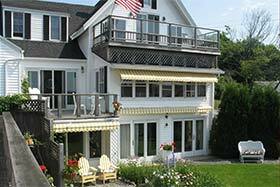 Our vacation rentals include properties like a Bar Harbor oceanfront home with amazing views and private beach, a large recently renovated downtown Bar Harbor home and a cozy waterfront cottage. Our goal is to help you find the right property for your needs so you can have a great vacation experience! Managed by a local specialist with a great reputation! Elegant Bed and Breakfast Inn built in 1904 offering a unique, eclectic designer decor and gorgeous panoramic harbor views overlooking the waters of Southwest Harbor, minutes from Bar Harbor and Acadia National Park • Enjoy the view from your private deck, savor 3 course gourmet breakfasts, afternoon baked goods and all day tea and espresso and our early evening wine hour on our porch overlooking the harbor. 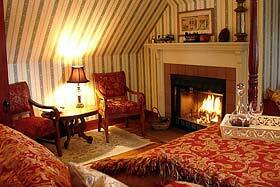 We offer in-room Port wine, homemade chocolates, WIFI and much more. 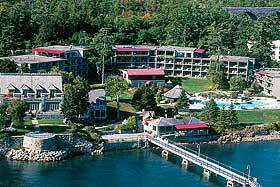 Come see why Condé Nast featured us as the place to stay on Mount Desert Island. Treat yourself and someone you love! Nestled next to pine trees and bordering Acadia National Park, it's hard to believe that Summertime Cottages is within Bar Harbor and walking distance of the ferry terminal. 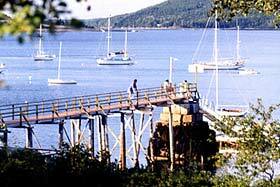 This is one of the hidden jewels of Bar Harbor and only one block from the ocean! Summertime has 3 sunny and cheerful properties, 2 of which comfortably accommodate 8 people. 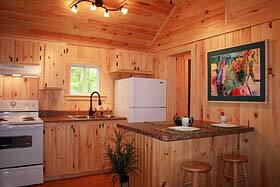 Cottages are smoke free, have fully equipped kitchens, washers/dryers, Cable/VCR - all the comforts of home. Visitors may ride a free shuttle bus into town. Located in quaint Salisbury Cove in Bar Harbor, this comfortable 3 bedroom cottage sits high on a knoll nestled among over an acre of lush Maine woods - just 5 minutes from Acadia National Park and 10 minutes from downtown Bar Harbor. Whether you are curled up on the wraparound porch with a good book, or enjoying the coziness of the fireplace, you will treasure your stay here and feel like it is your home away from home. 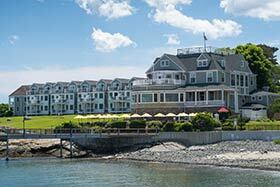 Our shorefront hotel has been offering a classic Maine summer refuge since 1884. 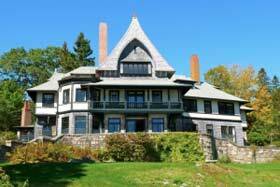 Located on the shore of Somes Sound and listed on the National Register of Historic Places, our six acre property offers comfortable rooms, cottages, memorable dining, tennis court, croquet, dock, moorings and breathtaking views. Nearby Acadia National Park offers opportunities for hiking, mountain biking, kayaking, sailing and swimming. 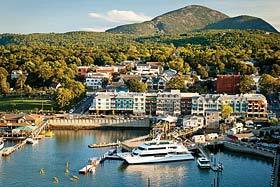 Bar Harbor, with all its shops, activities and resources, is only twenty minutes away. 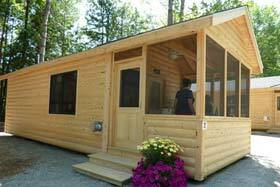 Relax in our newly constructed Deluxe Camp Cabins with Bathroom, Kitchen and Screen Porch or enjoy the basics of camping in our Rustic Camp Cabins! We are uniquely located to explore many hiking trails in Acadia National Park - No need to even get in your car! Walk from your cabin through the woods to Echo Lake Sand Beach in Acadia National Park or have fun in our New Playground or Heated Pool (Now Heated Through September!!) and Kiddy Pool. Open: Mid April - Oct. 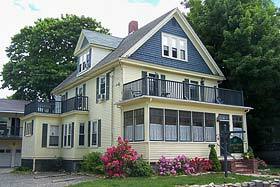 The Manor House is Inn is located in the beautiful tree lined West Street Historic District, one of Bar Harbor's most convenient in town locations and a short walk to all village shopping, restaurants and ocean front activities. 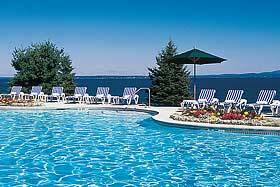 In addition, we are just 1 mile from Acadia National Park. A hearty home baked breakfast buffet is served each morning. Enjoy a table in the dining room or wander into our sunny breakfast garden. 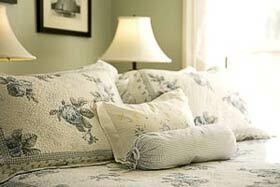 Our bed and breakfast is known for its gracious and casual hospitality. 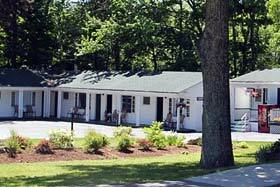 The Bar Harbor Motel is located just minutes away from downtown Bar Harbor and Acadia National Park. We provide a private and relaxing atmosphere as a base for our guests’ explorations. We have direct trail access to Acadia National Park and its historic carriage roads. 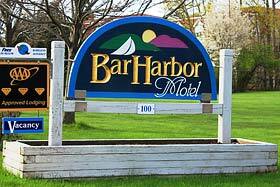 Whether your plans call for a short or an extended stay while you explore Acadia National Park and all of Mount Desert Island, you'll rest comfortably here at the Bar Harbor Motel. 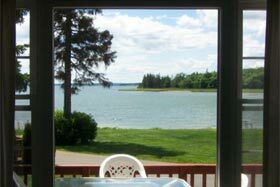 Step out the cabin door and in front of you will be a beach on beautiful Graham Lake in Ellsworth, Maine. Kayaks, canoes, paddle boats, and powered boats are available. Fishing is excellent for small mouth bass, white perch, and pickerel. 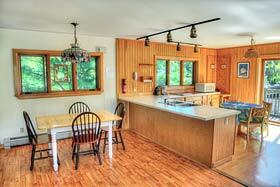 Two Master Maine guides are on-site and available for guided fishing trips. 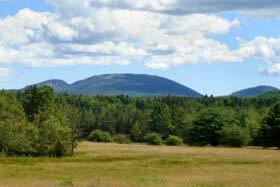 Acadia National Park is only 25 miles away - Ellsworth is only 6 miles. 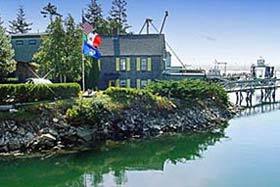 Our weekly waterfront suites are located in Southwest Harbor, Maine just about a two minute walk from the village. We have manicured grounds, sundecks, private outdoor spaces and a150 foot pier where you may launch your canoe, kayak or small boat. 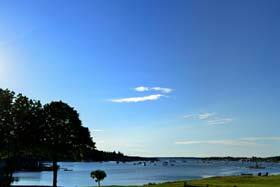 Southwest Harbor is renowned as a quiet seaside village with friendly folks and breathtaking landscapes - perfect for bird watchers and a perfect retreat for a memorable Maine vacation. 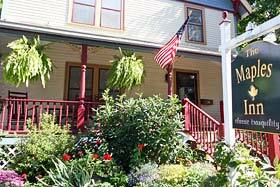 Welcome to Maples Inn Bed and Breakfast, a historic “farm Victorian” located in Bar Harbor, nestled on a quiet, tree-shaded street. Here you are just a short stroll from the center of town, world-class restaurants, galleries, shops, tours, and museums. Acadia National Park lies just a few miles from our doorstep. 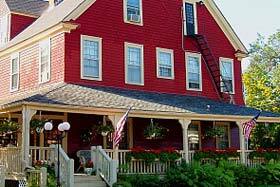 Maples Inn is your destination for warm hospitality, a comfortable and relaxing atmosphere, well-appointed guest rooms and suites, and delicious breakfasts with local Maine fare as their focus. 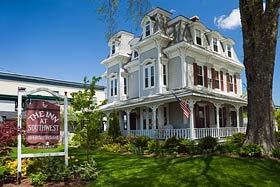 Overlooking Southwest Harbor, the Inn at Southwest combines Victorian charm and gracious hospitality. 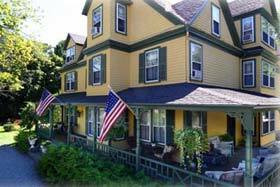 Near the center of town, we offer comfortable, yet elegant lodging, and are within walking distance of restaurants and shops, and only minutes from Acadia National Park. All seven of our rooms (including two suites) feature private bathrooms, down-filled duvets, ceiling fans, and luxurious linens and towels. 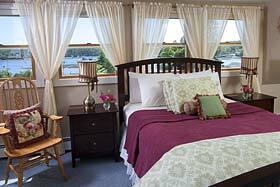 Several rooms include gas log stoves and limited harbor views. 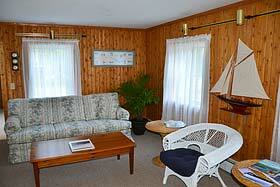 Seal Cove Cabins - Pet Friendly! 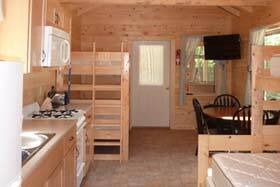 Seal Cove Cabins are located on the “quiet side” of Mount Desert Island, near Acadia National Park and Bar Harbor. 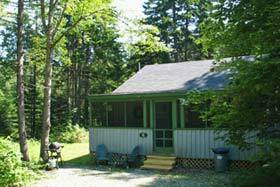 Nestled just off the main road near Hodgdon Pond, you will have access to enjoy a peaceful day in a canoe or kayak. 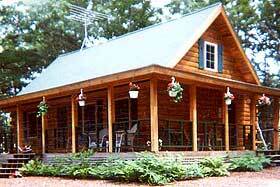 Our four cozy cabins accommodate from 4 to 7 guests. Walk to Pretty Marsh Picnic Area for a sunset. Bike or hike through Acadia National Park. Stop for a swim along the way! 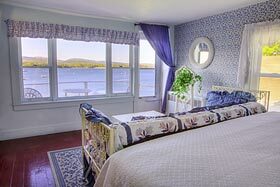 Located next to the ocean with extraordinary views of Somes Sound, the Moorings Inn offers suites, singles, doubles, and cottages for your family vacation needs. All of our rooms are tastefully decorated for your enjoyment. 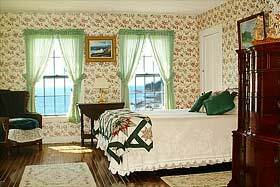 We have two additional accommodations off-premises from the inn with ocean views of Southwest Harbor and Mount Desert Island mountains. 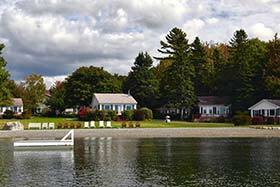 Visit us at the Moorings Inn for a memorable Maine vacation that your family will treasure. WiFi is now available! Enjoy magnificent ocean views and the waves crashing on our private sandy beach from our historic Sea Captain’s home on 200 acres just five minutes from spectacular Acadia National Park at Schoodic. 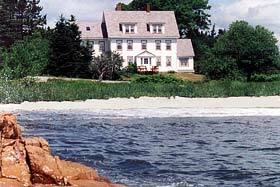 Discover tidal pools, perennial gardens, meadows, salt marsh, wooded acres and wildlife. 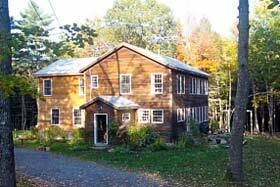 Experience concerts, science talks and art gallery in our 1820’s timber framed hall. Our peninsula offers views of four of Maine’s beautiful lighthouses, fine artisans & the most wonderful scenery Maine has to offer. 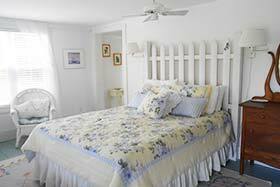 Gracious bedrooms all private bathrooms, multi-course gourmet breakfasts. 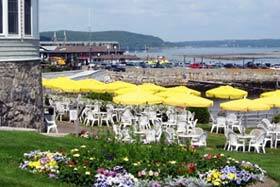 Café Drydock & Inn is located opposite the Village Green in the center of Southwest Harbor, surrounded by Acadia National Park. 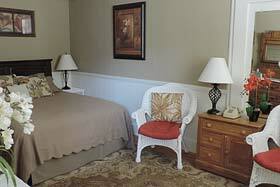 Our 8 Inn rooms all have private baths, cable TV, WIFI, and are custom decorated. 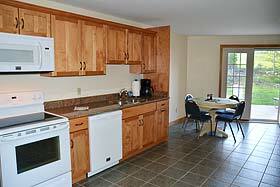 We also have suites with kitchens, kitchenettes and A/C. Our comfortable lounge and restaurant occupy the first floor of this historic building • Featuring lobster, fresh seafood, hand cut steaks, homemade soups, chowder, desserts, full bar, wine list and more. This beautifully appointed one bedroom cottage, located in Hulls Cove, is only 1.2 miles from the Acadia National Park Visitor Center and 4.2 miles from downtown Bar Harbor. Hardwood floors, a fully equipped kitchen, washer & dryer, and a large deck opening to a woodland meadow, are but a few of the many amenities. The cottage is smoke free and dog friendly. 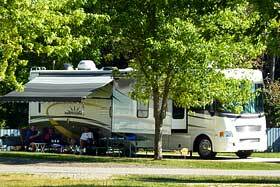 Your hosts, Brian and Hurshey Somers are year-round residents. Call or write for information and an activities packet. 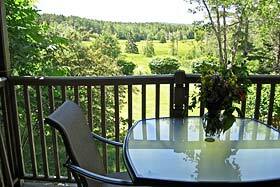 Our modern cottages accommodating 2 to 6 people are located on 20 acres of land and have a spectacular view of Cadillac Mountain. We are conveniently located on Route 3, four miles north of Bar Harbor and one mile from Acadia National Park's Visitor Center. 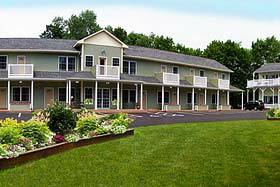 Family owned and operated, we provide personalized service and affordable, comfortable accommodations. If you are travelling with your pets, they are welcome as well. 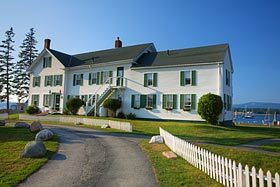 Charming small motel on flower laden grounds with a great in-town location • Clean, comfortable, affordable accommodations, all with full bath, AC, CTV, telephones, coffee makers, refrigerators, microwaves, and hair dryers • Heated Pool • Please visit us and see why we are one of the favorite motels in Bar Harbor. Located on scenic Clark's Cove, our clients describe us as a 'piece of heaven,' 'a bit of paradise' and 'a well kept secret.' 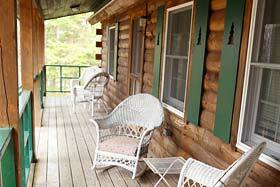 Family friendly atmosphere-great views-relaxing setting-all you need to experience a great vacation! Stay with us for an unforgettable vacation you'll want to return to year after year!! Just 10 minutes outside of Bar Harbor and Acadia National Park. Open: Year-Round & Dog Friendly! Nestled high above Frenchman’s Bay in Downeast Maine, our beautiful post and beam style inn is the perfect spot for your next vacation destination. It offers eight cozy rooms each with private baths and free Wi-Fi. 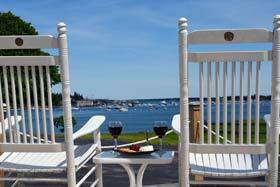 Sit and relax on one of our many porches, enjoy one of our gorgeous sunsets, gather by the cozy outdoor or indoor fireplace, take a quiet stroll down to our private beach, or enjoy the day at Schoodic Peninsula in Acadia National Park, just minutes away. Come and sail past the lighthouses of Penobscot Bay. Hunt for real estate. Sample food from local farmers and fishermen. 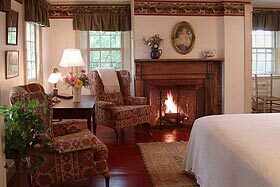 Attend a Kneisel Hall chamber music concert and then return to hors d'oeuvres & wine served by the fireplace in a bed & breakfast of distinction - the Blue Hill Inn. 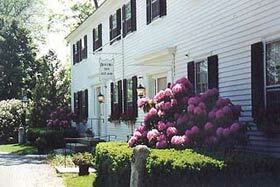 This historic Inn (c.1830), a member of Select Registry, is in the village of Blue Hill just 45 minutes from Bar Harbor. 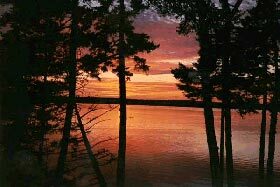 We are across the Blue Hill Bay, on the quiet peninsula. Come pick the blueberries! 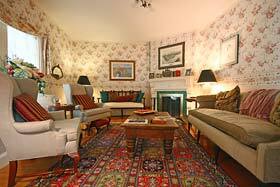 Bay Meadow is tailor made for couples and families yearning for the simple joys of a bygone era. 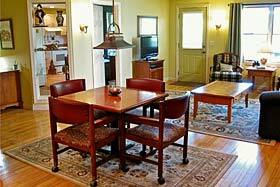 These cottages are just a ten minute drive from the shops, restaurants, and other various attractions of Bar Harbor. Acadia National Park is just a hop, skip, and a jump from this little gem. 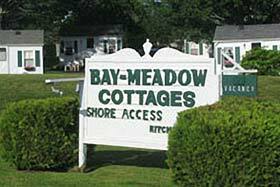 Bay Meadow provides easy access to other Mount Desert Island towns and all they provide. 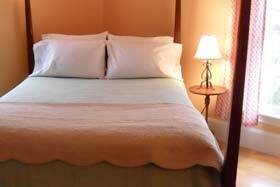 At the Inn on Mount Desert we offer affordable accommodations in downtown Bar Harbor. We are a family owned and operated motel with 31 clean and comfortable guest units with amenities that include free WIFI, refrigerators, microwaves, coffee makers, and more! Park your car and walk to the shore in just minutes, or pick up the free Island Explorer shuttle at the Village Green just down the street! 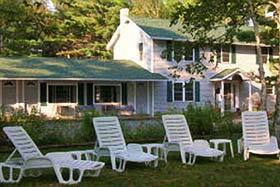 Hinckley's Dreamwood Cottages are part of the rustic tradition of Downeast coastal Maine. 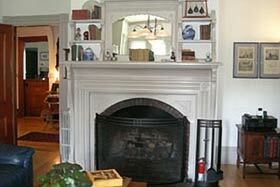 At Hinckley's, a family of 2 to 8 people can enjoy the comfort and privacy of its own cottage on Mount Desert Island. 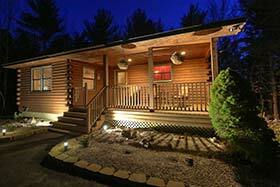 If you like country-style vacations, select and reserve a one, two, or four bedroom cabin online today. 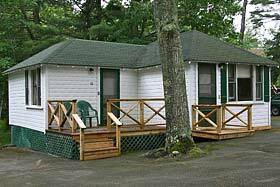 Exceptionally clean and well maintained vintage motor court located within minutes of Bar Harbor and Acadia National Park • Our cottages and units offer queen beds, full kitchenettes, A/C, heat, color cable TV, and full bathrooms. 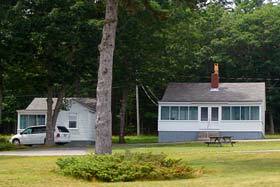 We are only a short walk to a private rocky beach with picturesque views of Frenchman Bay. 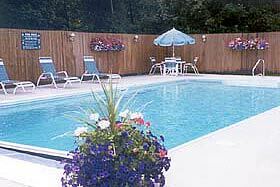 We have heated pool and picnic area for your enjoyment. Pets are welcomed. Tranquility in the Heart of the Village - You'll find no more tranquil, quiet locale so very close to the best restaurants, galleries, museums, and shops. On a peaceful lane between Main Street and the ocean lies this serene getaway just around the corner from all that Bar Harbor Village has to offer. Some of you may want to spend a night or longer in Bangor - the commerce center for central Maine and home to the author Stephen King. 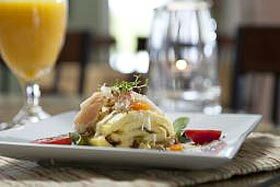 There are several good options and most provide online reservations. Acadia National Park is only about an hour's drive from Bangor. Located within an easy quarter mile walk of the business district at the intersection of routes 3 and 233 in Bar Harbor. 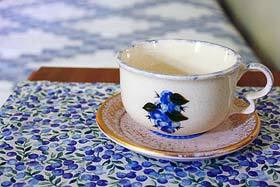 There is always friendly staff available and a cup of fresh coffee waiting for you in the lobby. 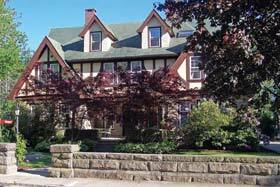 The Best Western Inn is located on Mount Desert Island in the municipality of Bar Harbor near the area known as Salisbury Cove. 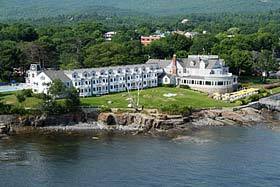 Rated as a 3 Diamond Hotel, it is only 2 miles from the main entrance to Acadia National Park and 4.5 miles from downtown Bar Harbor. Regardless of where you decide to sleep, whether it be a bed and breakfast, a hotel, a small or large cottage, a log cabin, or even in a tent at a campground, the one thing that ties it all together is the awesome natural display called Acadia National Park. Those three words, do not begin to describe the diversity of what there is here. Point yourself in almost any direction and you can easily spend a day and a half discovering something new and something memorable. Stay at one place, or mix it up a bit. Why not? This is your vacation and your time. Have you ever thought of doing or trying something but backed off, only to wish that you had given it a try later on? New experiences are new memories, new knowledge, and sometimes, new friends.